James Docherty (28) was over the drink-driving limit when police stopped him on the A883 near Checkbar Roundabout. He gave a reading of 47 microgrammes in 100 millilitres of breath when the legal limit is 22 microgrammes on March 3. 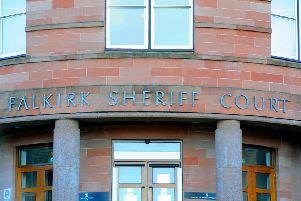 Docherty, 119 Fairlie Street, Camelon, failed to appear at court last Thursday and a warrant was issued.